Wisconsin Singers' 51st Season Is Here!! Hello and welcome back! At the end of August, the newest group of Wisconsin Singers were working hard to prepare the 51st season show- Nothing’s Gonna Stop Us Now! On Sunday, September 2nd, they debuted the show for their families and Singers alumni. I was honored to be a part of that crowd and witness all of their hard work pay off tenfold. Their future audiences (hopefully including you) are in for a treat! 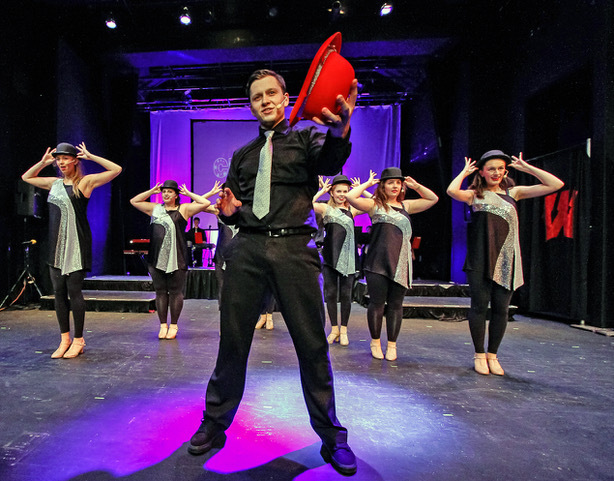 This year’s show features songs from the Oscars, Tonys, and Grammys, as well as one hit wonders. You’ll hear Justin Timberlake, Michael Jackson, and ABBA along with songs from The Greatest Showman, Dear Evan Hansen, Hamilton, and La La Land. Even if nothing in that list appeals to you, I can assure you there is something for everyone. The show’s opening gave me chills with a mash-up of “The Show Must Go On” and “The Greatest Show”. Right away you’ll realize that you are in for an entertaining, high-energy show. The Singers’ rendition of “Gee, Officer Krupke” from West Side Story had me near tears in laughter. The Singers band was incredibly impressive and has great features throughout the show. I can’t wait to see how they grow even more throughout the year. As is tradition, they closed the show with “Family”, a testament to how Singers is much more than just a group of people with a shared passion. It is truly a family. There’s hardly a time that “Family” doesn’t at least make me tear up, especially when I am surrounded by alumni singing along (still singing in perfect harmonies FYI). Even though you may not have the same special connection to the song, it is preceded by show-stopping renditions of “This Is Me” (from The Greatest Showman) and “You Will Be Found” (from Dear Evan Hanson) that may just leave you in tears. And that’s all the spoilers you get! The Wisconsin Singers can’t wait to see you at one (or more) of their shows this year! Keep an eye out on the website for this year’s tour schedule. If you are interested in having a show at your school or event, click on the Booking tab at the top of the page.